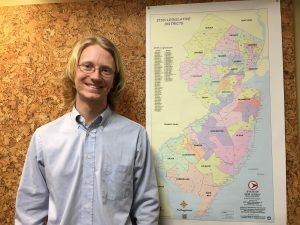 New Jersey Future internships offer undergraduate and graduate college students the opportunity to join our staff for a short time, typically a summer or a semester, to focus on a specific policy, research or communications project. Their work often culminates in a special report, several of which are posted below. Interns learn not only about a specific content area, but gain exposure to our staff and operations through participation in policy discussions, meetings and events. The internships thus provide students with both practical experience and insight into the realm of public policy in New Jersey, which can advance their education and future job searches. 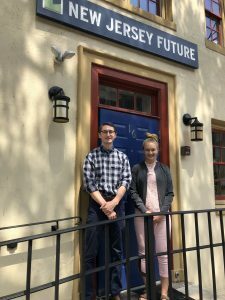 Of course, interns enrich New Jersey Future in many ways as well! Click here to learn how to apply. 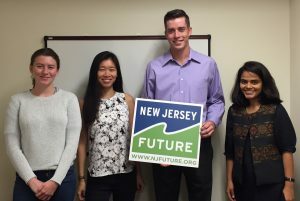 New Jersey Future 2017 Interns (left to right): Emily Nanneman, Nancy Wu, Chris Gough, and Mukta Ramola. Not pictured: Alex Arnold and Mark Rosvold.